No company wants to experience one, but they can and do happen. And, should your company be affected, you want to make sure that your chosen 3PL partner can rise to the occasion with minimal disruption to your supply chain. After all, recall preparation is a key part of your 3PL’s warehouse management service offering, and it’s especially important in the food and pharmaceutical industries. In this article, we’ll look at what your 3PL can and should be doing to provide you with peace of mind in the event of a recall. For food grade and pharmaceutical warehousing, common recall occurrences involve products that are damaged or at-or-near expiration. The 3PL will identify and remove the items from the customer’s regular population. The customer will then either pick up the items to have them destroyed, or the 3PL will be instructed to destroy them and provide documentation of the destruction to the customer. 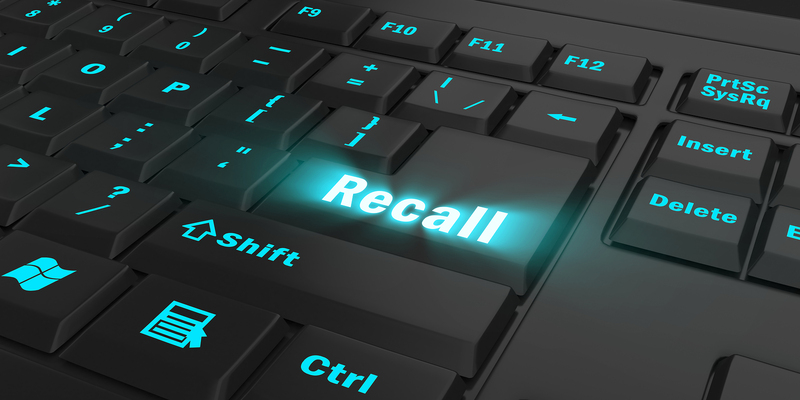 Other common recall events involve production issues in which the customer notifies the 3PL to remove specific product lots from possible circulation. As all products are scanned upon initial entry into the 3PL warehouse, the 3PL should be able to quickly identify and segregate the items in question using its warehouse management system. The items are placed on hold pending further instructions. Before you find out whether your 3PL can handle a real recall, you should find out if it can handle fake ones. “Mock recalls” are an important part of food and pharmaceutical warehouse management provided by your 3PL. These mock recalls are “practice runs” for real recall events. Importantly, they should be orchestrated just as carefully and extensively as the real thing. A mock recall typically proceeds as follows. The customer and 3PL coordinate details of the event, including the product being ‘recalled’ and key related information (e.g., lot numbers). Items are flagged by the warehouse management system (WMS) which assigns the products a segregated hold location and prevents them from being distributed. Warehousing personnel are notified and associates each follow specific protocols. ‘Recalled’ items are taken from the main warehouse floor and placed in the segregated hold location. The WMS is updated as the products enter the hold location and all warehouse staff is notified of the location, and appropriate signage is displayed. The customer is updated and the 3PL provider awaits further direction (e.g., whether to hold, arrange destruction of items, etc.). When a “real” recall is instituted, the process…well, the process is the same as it is during a mock recall. This is why it is critical that your chosen 3PL provider perform – and demonstrate proficiency in performing – mock recalls. When systems and staff have been through effective practice runs, the real thing should run like a well-oiled machine. On the other hand, if systems and staff have not been through mock recalls, a serious live recall event can be a risky proposition. It’s not something that your 3PL should perform as “on-the-job training.” To use a football analogy, it’s a bit like running a play in the Super Bowl that the offense has never practiced before. It just wouldn’t – and shouldn’t – happen. The stakes are too great for anything less than well-rehearsed mastery. When it comes to recalls – whether mock or real – it’s critical that your 3PL has a stringent set of protocols to follow. It doesn’t get much more buttoned up than being ISO-9001-certified. ISO-certified companies have conformed their procedures to rigorous international standards to ensure quality and consistency. There are a variety of exacting ISO standards related to product recalls, including standards to identify and control “nonconforming outputs” (products that are damaged, expired, or otherwise fall short of requirements). In order to become ISO certified, companies must be able to demonstrate consistent compliance to every letter of these standards. If your company can benefit from the services of a 3PL warehouse management provider that is ISO-certified and has expertise in performing recalls, then look no further than Kanban Logistics. Kanban is a North Carolina 3PL with over one million square feet of warehousing space right in the middle of the East Coast. And, when it comes to managing that space for our customers, we adhere to the most rigorous standards for quality and compliance, including ISO-9001 certification, AS9100D certification, AIB, GMP, and a host of others. To learn how Kanban can help, contact us today.